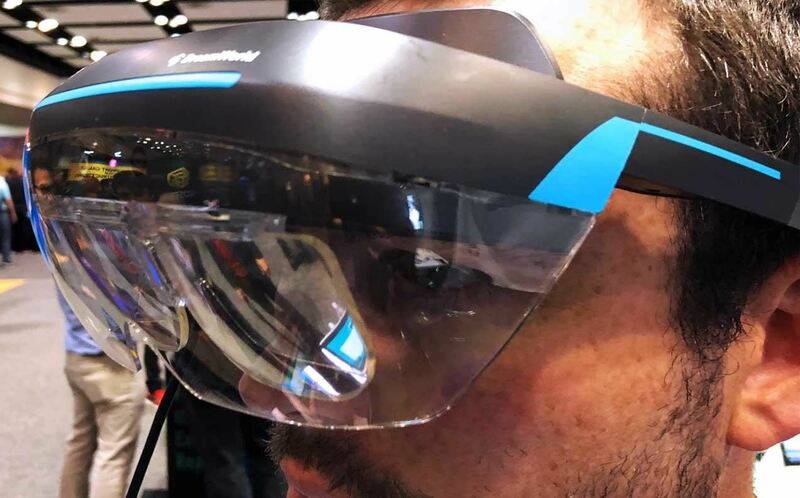 Earlier this week, we told you about the new DreamGlass augmented reality headset from Dreamworld, a company started by a former Meta executive. The device looks great, and the features sound good, but is it worth your hard-earned cash? I recently took it for a brief spin to find out. The company's CEO, Kevin Zhong, was kind enough to give me a personal walkthrough last week and, I must admit, I was frankly surprised by just how well the DreamGlass works. The first thing you'll notice is how lightweight it feels (240 grams, to be exact). And although it feels lightweight, it by no means feels cheap — the build quality is solid. And the headset's tether to the Android smartphone wasn't as cumbersome as I expected. In fact, I can imagine forgetting the tether is even there after extended use. As for the device's often-mentioned 90-degree field of view, I was impressed by just how much visual real estate the DreamGlass delivered, as well as the quality of the AR interface and imagery. At some points, the latency got in the way of a completely smooth experience, but I was still so enthralled by the overall quality of the experience that I was able to ignore those minor glitches (although it could become a problem during extended use). 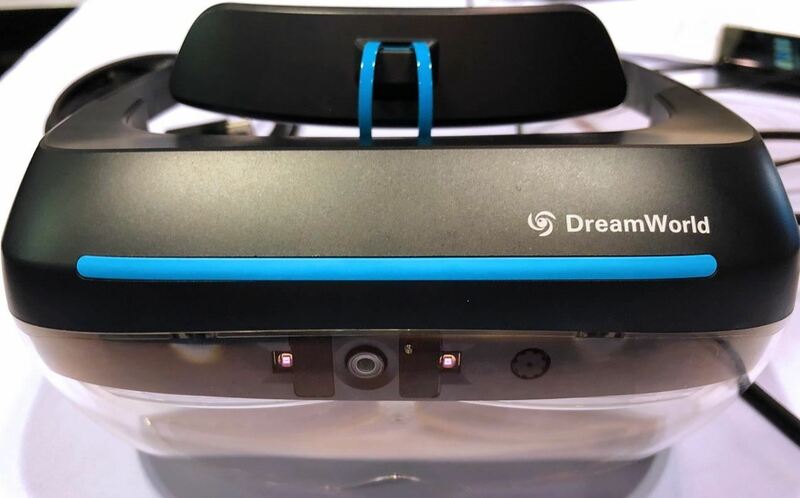 The setup I used was the smartphone-connected dynamic, so it's possible that the latency issue I experienced might be erased when the DreamGlass is connected to a Windows PC. Speaking of smartphone connectivity, it's important to point out that the device works on the Samsung Galaxy S8, S8+, Note 8, S9, S9+, and on certain Huawei and HTC smartphones. As for iOS devices, a whisper on the wind somewhere at a recent tech conference told me to keep my eyes out for that in the future. But what most impressed me, given the low cost of the DreamGlass ($399), was the quality of the hand gesture recognition. Equipped with a 1080p front-facing RGB camera and microphone as well as an IR camera, the hand gesture recognition wasn't perfect, but it was pretty damn good. Some of the demo interactions I experienced included a medical app that allowed me to use gestures to explore a 3D model of the human brain, an interactive robot model I could manipulate with my hands, and a 3D representation of the Earth, complete with information associated with the locale selected. So with all that said, let's address the question many people are probably already asking: Is this a better buy than something like, say, the Meta 2, which costs $1,495? Well, although there are a number of similarities, at the end of the day, the Meta 2 is simply in another class when it comes to the quality of AR imagery, software, and even overall build quality. Anyone who has tried them both would be tempted to compare them but, at least for now, I think the DreamGlass has more work to do to match the quality of experience delivered by the Meta 2. 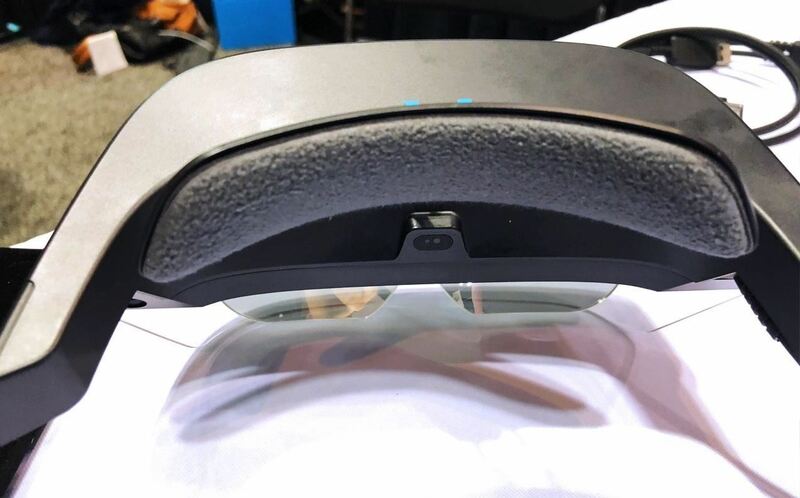 And while the DreamGlass only delivers 3DoF (degrees of freedom), if your focus is on a relatively powerful mobile AR headset solution, at a much lower cost, there's no reason to hesitate when considering the DreamGlass. This is a well built device that punches above its weight. Hi! I ordered one on wednesday and I'm wondering if you know if it works with OnePlus5 or OnePlus6? Do you any details about that? The DreamGlass I received worked flawlessly. Although I had to email support, they walked me through the setup. Really, to be able to create and develop on this technology and at this price point, it was well worth the expense. I think the demo apps will be pretty cool to build on.